PINEVILLE, La. – The Louisiana National Guard’s Capt. 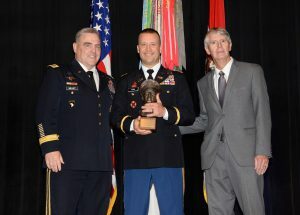 Chad Ford, of Jonesville, was one of 28 officers to receive the General Douglas MacArthur Leadership Award during an official ceremony at the Pentagon in Washington D.C., June 15. 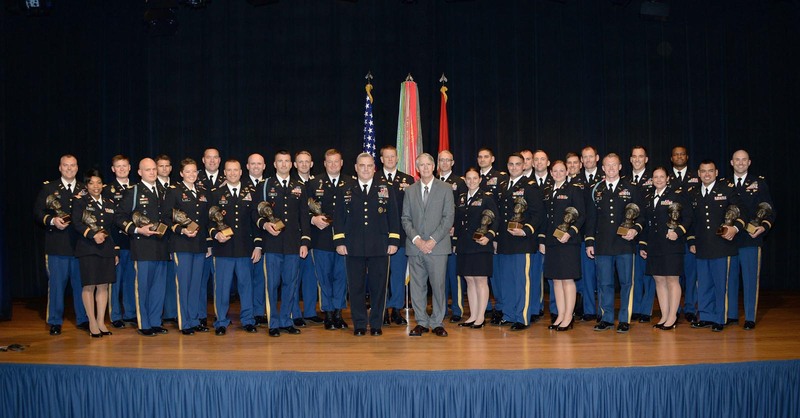 The GDMLA recognizes company grade officers and warrant officers who demonstrate the ideals for which General MacArthur stood for: Duty, Honor and Country. 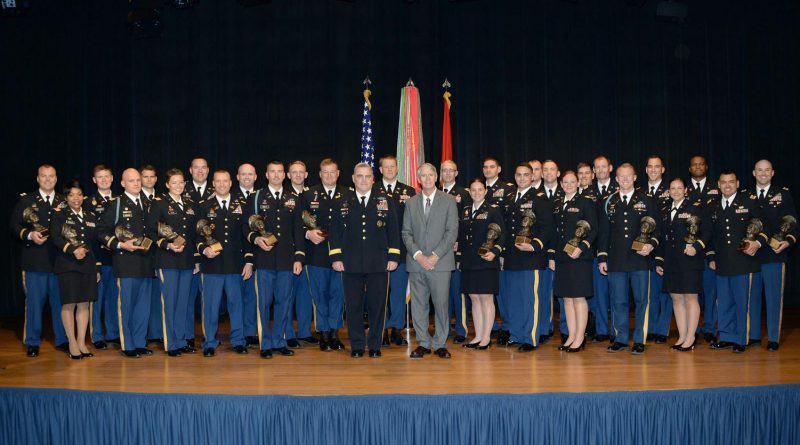 It also promotes and sustains effective junior officer leadership in the Army. Ford is the commander of C Troop, 2nd Squadron, 108th Cavalry Regiment, 256th Infantry Brigade Combat Team. 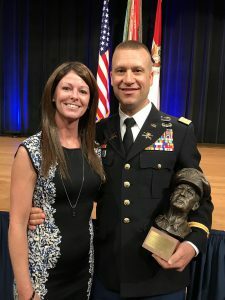 Each recipient was presented a 15 pound bronze bust of MacArthur mounted on a walnut plaque by Milley and Patrick Herman, director of the MacArthur Foundation. 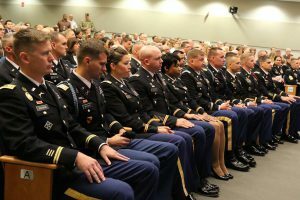 The recipients are chosen from across the Army with only six captains and one warrant officer, coming from the National Guard. 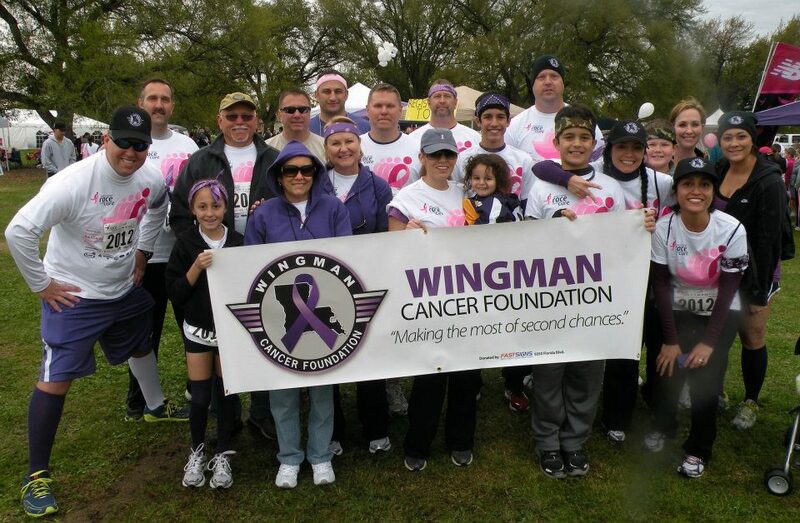 Ford was nominated by his former squadron commander, Lt. Col. Cameron Magee. Ford earned his commission from officer candidate school in 2007 and his branches include transportation, logistics and armor. He has a bachelor’s degree in Computer Information Systems from the University of Louisiana at Monroe and a master’s degree in international business from Louisiana State University. Conduct Medal, the Iraq Campaign Medal, the Humanitarian Service Medal, the Military Outstanding Volunteer Service Medal, the Armor and Cavalry Leadership Award and the Honorable Order of Saint Christopher. Ford is married to Rosie Beer Ford of Nova Scotia, Canada, and lives in Baton Rouge with his son, Courtland, daughter, Shelby and two step daughters, Mandy and Jessica. Previous awardees from the LANG are retired Col. Michael Borrel in 1991, Maj. Gen. Glenn H. Curtis in 1992 and Col. Keith Waddell in 1999.